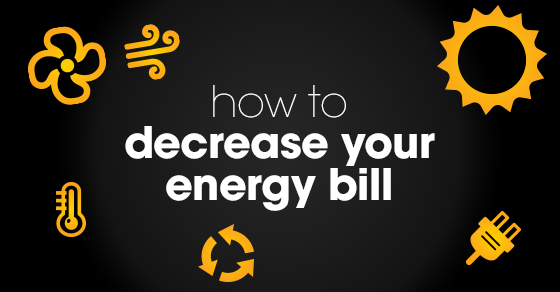 Summer Savings: 5 Ways to Reduce Your Energy Bill | Century 21 Birchwood - List With Us...Consider It Sold! Summer is in full swing and as the temperature rises, so can the electric bill. When you’re ready to escape the sun, you shouldn’t have to feel guilty about seeking cool relief inside your home. 1. Use the energy saver option on your air conditioner (AC): When you leave your home, use the energy saver option on your air conditioner rather than turning it off. The energy saver will keep your house at a cool temperature. If you turn off your air conditioner the temperature in your house will rise, and when you turn the unit back on it will need to work harder to cool your house down again, which in turn, can increase your electric bill. 2. Fans are your friend: Well placed fans can keep cool air circulating in the house, which means you might be able to delay turning on the air conditioning—especially if you can also leave windows open on cool summer evenings. 3. Create a lights-out policy: Keeping all of the lights off in your home during the day is a simple way to conserve energy and lower your electric bill. Try to rely on natural light alone. At night, consider trying something new like candlelit dinners or dimly-lit game nights. 4. Use heavy drapes on the windows: We’re not saying you have to be Dracula, but try hanging some heavier drapes—especially in windows that get a lot of natural sunlight. Close the drapes when you leave the house to help keep the sunlight out and the cool air in. 5. Get your AC inspected: Inspectors can make sure your system is leak-free and operating as efficiently as possible. Don’t forget to clean air filters; some units require monthly cleanings. Many people shivered their way through a long winter dreaming of summertime. With these tips, you can help enjoy fun in the sun without getting burned by rising energy bills!